Note to self: I should publish these posts earlier on Sunday but I'm in the middle of exams and procrastination is in my nature so alas, here we are! 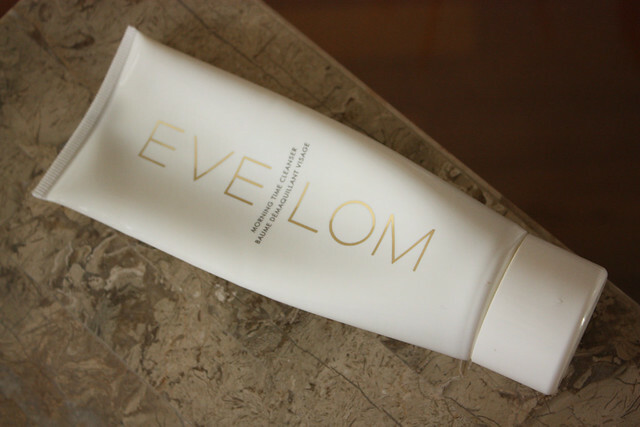 Today's subject is a beauty product I'm on the fence about: Eve Lom's Morning Time Cleanser. I purchased it at a Space NK inside Bloomingdale's while I was traveling last summer.It's a slightly changed formula of a cult cleanser, the Eve Lom Cleansing Balm. While I found the traditional cleansing balm too heavy for the oily, acne-prone skin I had at the time of purchase, the sales lady wooed me into purchasing the Morning Time Cleanser. The damage? 60 of my hard-earned Earth dollars. The packaging is very sleek and beautiful. 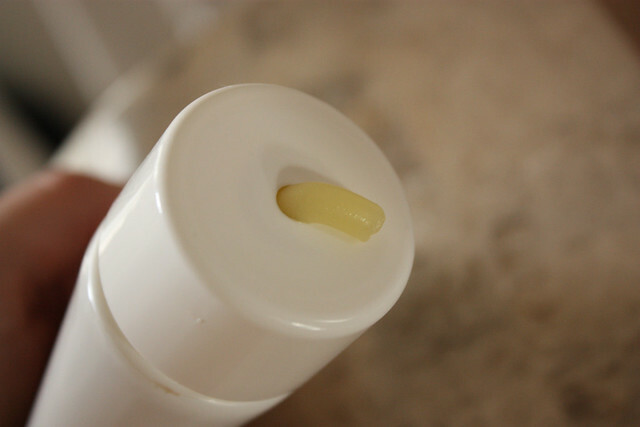 The cap twists to reveal a hole through which the product is squeezed out. More lightweight in texture than the traditional balm, making it suitable for all skin types. The addition of fruit enzymes designed to aid in gently exfoliating the skin. This product has a rather thick and balmy texture that becomes more liquid as it melts in your palms. It has quite a strong medicinal/sweet/herbal scent. You're supposed to warm it up in your hands and massage it onto dry skin. Leave it on for about two minutes then rinse off. The sales lady claimed it worked awesome with the Clarisonic but I'd have to disagree on that front. I personally find that cleansers that produce some sort of foam are the most Clarisonic-friendly. This cleanser does not foam at all. It just becomes sort of like an oil that washes off with water. It left me confused. It's marketed as a morning time cleanser yet the back of the packaging boasts about its ability to break down waterproof eye makeup... er... ? While the experience of using this product is rather luxurious and I like the scent and feeling of massaging the product into the skin, I just didn't get enough benefits to warrant a repurchase. It didn't break me out and it did do a good job at removing eye makeup when I used it at night. However the enzymes that claim to exfoliate didn't do anything better than a what cheaper or similarly priced glycolic acid/lactic acid cleanser or mask would do. Have you tried any Eve Lom products? Am I right to be unimpressed? This product has been around on the market for a while and had always been on the back of my mind to try but for some reason it's not available at any drug store near me. On a trip to the US I popped into Ulta and here it was on the Neutrogena shelves, smiling at me.